Welcome to your New Foothills Home Located in the Inviting Hilldale Pines Community just Moments from Hwy 285 for a Quick Commute into the City and Home again to Tranquility! 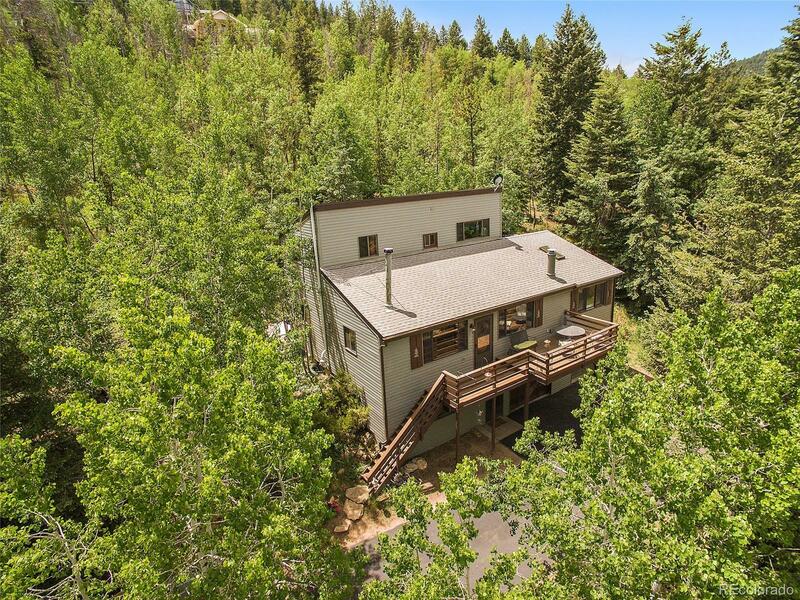 Gently Sloping Driveway/Lot with Home Nestled Amongst the Aspens and Pines with Mountain Views from the Spacious Front Deck. Low Maintenance 1+ acre lot with Fenced Dog Run, Shed, Extra Parking and Abundant Wildlife Scampering to and fro. Large Sunny Vaulted Great Room with Moss Rock Fireplace Opens Gracefully into Freshly Remodeled Spacious Kitchen with Ample Cabinets, SS Appliances, and Granite Counters. Wonderful Floor plan with Bedroom and Bath on every level! Large Bonus Room Perfect for Home Office, Exercise, or Play Room. Brand New High Efficiency Gas Furnace for LOW Utilities! Large Mudroom off 2 car Garage for all your outdoor Gear! Community Maintained roads, Great Jefferson County Schools, High Speed Internet Available, and Just a stone's throw to Meyers Ranch Open Space for Hiking and Biking!